Located off the beaten path, just a short drive inland from Canggu, lies one of Bali’s best kept secrets - the bucolic village of Cepaka. Bordered by a seemingly endless mosaic of rice fields to the south and the Penet River to the north, Cepaka offers so much more than the eye can see with a cursory glance. Rain forest canopies, birdsong melodies and some of the best babi guling for miles around, are just a few of the characteristics that drew a handful of pioneering Australian developers to the area almost 20 years ago. As Bali has grown since the boom of a decade ago, so too has Cepaka. While some would argue that the growth in southern Bali has been a double-edged sword, the consensus on Cepaka today is unequivocally and unanimously positive. What began as a nice place to get away from the hustle and bustle to the south has matured into a village with a character all of its own. Many traditional villages in Bali have their own “personality” if you will. For instance, in and around the Ubud area each village is generally known for producing very specific crafts or works of art; the village of Mas is known for it’s wood carvers, Batu Bulan is of course renowned for its stone carvings, Sukawati and Celuk for their silversmiths, and the list goes on. There are villages known for traditional painting, modern art, egg painting, kite building and more. In the south however, we hadn’t normally seen that type of specificity. Seminyak quickly became famous for everything touristic; great restaurants, fine shopping, endless beach life and incredible sky painting sunsets, but as lovely as these features are, they are hardly specifically “Balinese” traits. Owing to how well received the new ‘Bali lifestyle’ has quickly spread, the villages of Canggu and Berawa have kept up the pace of growth to accommodate the constantly increasing demand. But for many of Bali’s 10,000 daily foreign arrivals and countless domestic holiday makers as well, the new “Bali lifestyle” was not the “it” they were looking for when they went looking for something new and refreshing from the island of the gods. Concurrent with the development of the Bali’s burgeoning bohemia another, more user friendly, trend has developed. And while it might not be for everyone, those who have found it in Cepaka have benefited greatly and are eager to share. That trend is the wellness movement. Wellness is defined by Webster’s as “ the quality or state of being in good health especially as an actively sought goal - lifestyles that promote wellness.” The pioneers of Cepaka have responded to the queries - sourced from Australia, Jakarta, Europe, the United States and more – to create destination locations that can cater to all levels of wellness seekers. If you are new to the concept or have been introduced to wellness by need rather than desire, there are softer ‘introduction to wellness’ packages, which will guide, instruct and facilitate adjustment to the new lifestyle. Diet, yoga, exercise and meditation programs are designed to ease you into a new phase of your life that looks to place your focus on a range of healthier habits. If you are an experienced practitioner of the healthy arts & science of life, more advanced programs are in place to take your practice and your lifestyle to the next level. There are corporate packages on offer, as well as individual, group or family programs. The length and intensity of the program can be tailored to meet the group’s or individual needs. 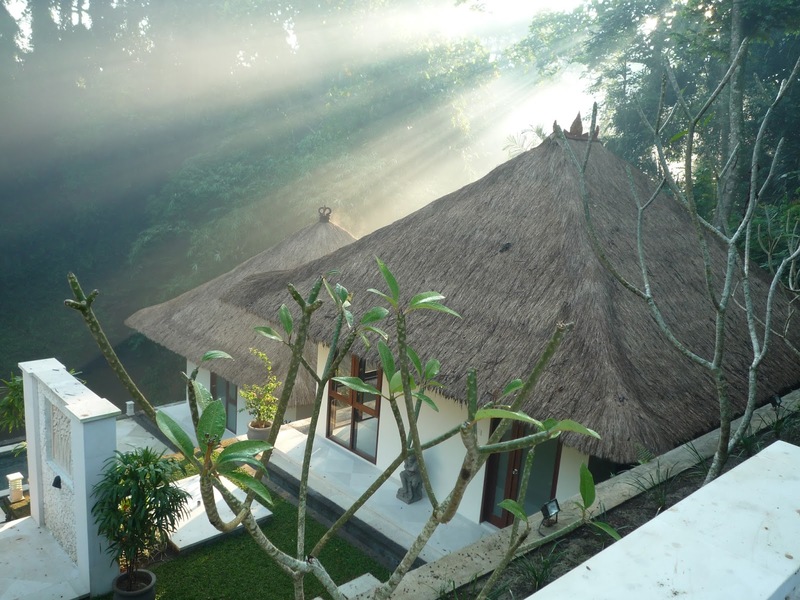 The villas of Cepaka are each uniquely designed to combine distinctive Balinese features with modern facilities and various combinations of rooms. They also offer the best environment for wellness programs, with their peaceful surroundings and gentle pace of village life contributing immensely to a sense of well-being and renewal. Combine these qualities with a 15 minute easy access to the beach; surfing, great restaurants, bars, coffee, etc, in the Batu Bolong/Echo Beach area of Canggu and it’s a winner. Surf, sunbathe, spa, sip cocktails….just don’t tell your yoga instructor! It is also worth mentioning the easy access from Cepaka to the Green School (15 mins) and Ubud, only 30 minutes scenic drive away. To find out more about the wellness movement, real estate opportunities and how to book your next holiday, please enquire via info@balipropertyexchange.com or visit us http://www.balipropertyexchange.com. Thanks to contributing author Carol Nunan, Asri Rainforest Retreat, Desa Cepaka. Many of us who have invested in the real estate market in Balibecause the potential for the return on our investment seemed very promising. The projections were astronomical, the investment was reasonably affordable and the forecast for growth based on the increased number of tourist arrivals and the “World’s Best Holiday Destination”award from Trip Advisor indicated that our returns would continue to grow.